The 3D printed tantalum powder could be used for bespoke biomedical applications such as hip joints. PM specialist Metalysis, based in the UK, has collaborated with material joining and technology engineering company TWI to research 3D printing its tantalum powder for bespoke biomedical applications such as hip joints. The companies have successfully produced both uniform and randomised tantalum lattice structures that are bio-inert, replicate the structural stiffness of bone and allow for extensive integration with bone cells, so that the new joint is readily accepted by the body. Metalysis has developed a process that produces metal powders directly from their respective oxides in just a single step, drastically lowering the environmental impact of its manufacture. When used in the metal additive manufacturing (AM) selective laser melting (SLM) process, the end product is structurally consistent and allows for an improvement on the as-built surface finish. The research has reportedly proved that the properties of this metal are retained through the production process even when making a complicated lattice structure. This story uses material from Metalysis, with editorial changes made by Materials Today. The views expressed in this article do not necessarily represent those of Elsevier. 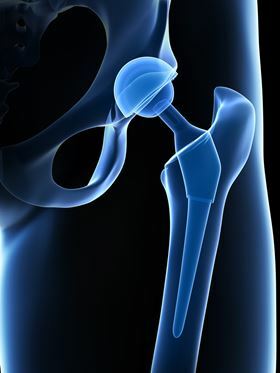 Researchers in Singapore have developed a titanium-tantalum alloy that could be used to make biocompatible bone replacements using SLM. Global Advanced Metals Pty Ltd and LPW Technology (LPW) have joined forces to promote the use of spheroidized tantalum in 3D metal printing.